I am extremely excited to share this book with you guys because it’s a book that I’m in dire need of people to read. You won’t regret it, I promise. Enchantèe is set in a France where Marie Antoinette is still Queen and a revolution is slowly brewing. We follow Camille and her younger sister, Sophie, who are trying to make ends meet in a country where the rich continue to thrive whilst the poor are left to fend for themselves with no support. Hand on heart, I’m in love with this book. It’s was gorgeously written, full of magic and wonder as well as the scandal of the French court. I’ve never read a book set in France during this time frame but I fell in love with it. Everything from the tiny, creeky house that Camille and Sophie lived it to the Palace. Everything was explained so vividly. I was whisked away by it all. Camille was a really strong female lead in my opinion. She took hold of her own fate more often than not in the book and I loved reading that. She had flaws which she admitted and apologised for and it made the character feel so much more realistic. There are times when I really struggle to find a main character likable for one reason or another but Camille was someone that I felt that I could get along with in real life. She’s fiercely protective of the people she loves and would put her life on the line for them. The only issue I had with her and a little bit of the plot was when it came to romance. Her judgment waivered a lot when it comes to her love interest and it was like she forgot all the other issues that she had going on in her life and just focused on the guy. The romance aspect of the book, whilst I loved it, did feel a little heavy-handed a times. But that was my only real issue with the book and even then, I wouldn’t exactly call it an issue. I would really recommend this book if you’re a lover of magic because it handled this aspect so well. It wasn’t just checked in there as an afterthought, you can tell how much effort had been put into the workings on the magic in this book and all the little details that tie into the plot. And I always appreciate things like that. This book is definitely towards the top of my favourite books for the year which is why I’m giving it a four-star rating! 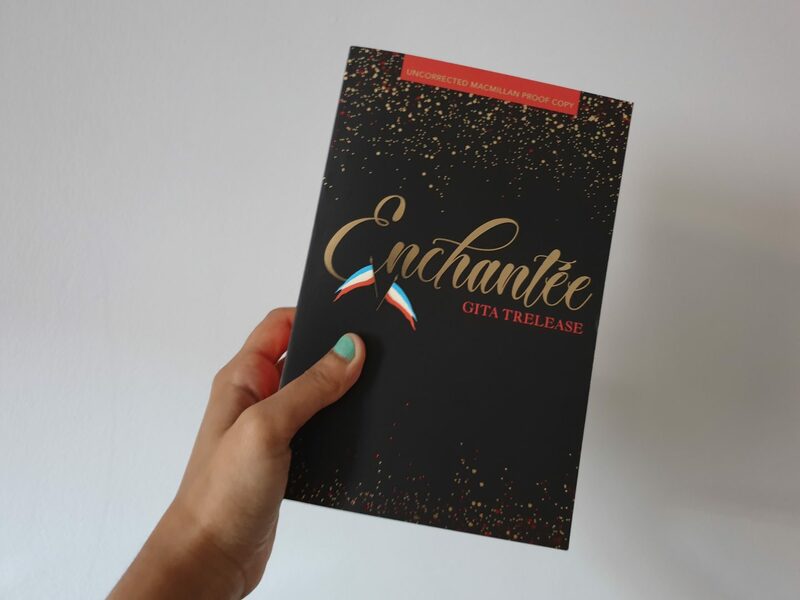 Let me know if you guys have read/are planning on reading Enchantèe in the comment or on my twitter @acupofsai. I love having bookish chats with you guys!